Browning announces New Features for their 2015 model gun safes. Since the early 1980’s Browning / Prosteel has been the industry leader in gun safe product development and production. 2015 will be no exception and Browning / Prosteel is once again leading the way with New Higher Fire Ratings and New Security Features on all of their gun safe models. 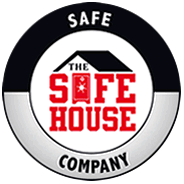 The Safe House is the only dealer in the Southeast that has these new models already in stock. Drop by our showroom with over 150 safes on display and we would be happy to show you the new and exciting features that Browning / Prosteel have added to their safe line up. This entry was posted in Uncategorized on October 14, 2014 by Mark Brasfield.